Epigenetics, Precision Medicine, and Responsibility Towards Children. 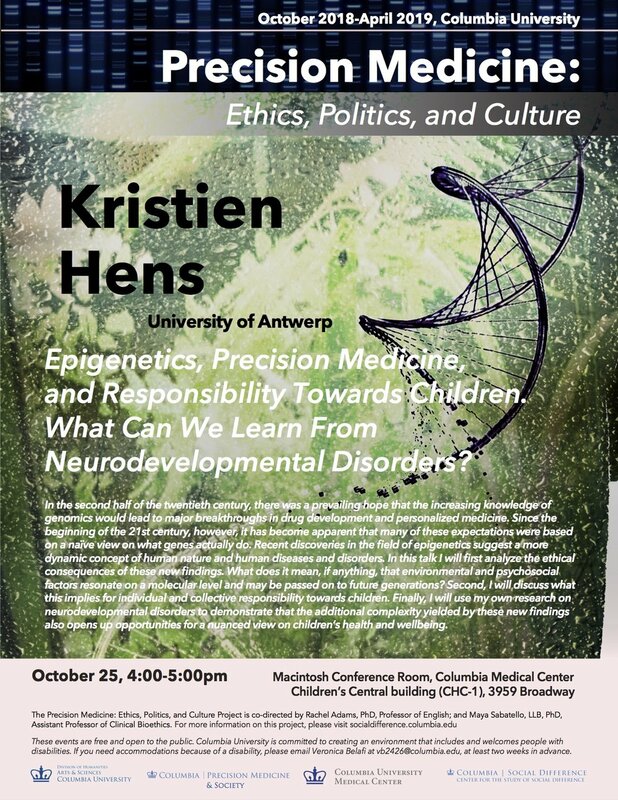 What Can We Learn From Neurodevelopmental Disorders? In the second half of the twentieth century, there was a prevailing hope that the increasing knowledge of genomics would lead to major breakthroughs in drug development and personalized medicine. Since the beginning of the 21stcentury, however, it has become apparent that many of these expectations were based on a naïve view on what genes actually do. Recent discoveries in the field of epigenetics suggest a more dynamic concept of human nature and human diseases and disorders. In this talk I will first analyze the ethical consequences of these new findings. What does it mean, if anything, that environmental and psychosocial factors resonate on a molecular level and may be passed on to future generations? Second, I will discuss what this implies for individual and collective responsibility towards children. Finally, I will use my own research on neurodevelopmental disorders to demonstrate that the additional complexity yielded by these new findings also opens up opportunities for a nuanced view on children’s health and wellbeing.